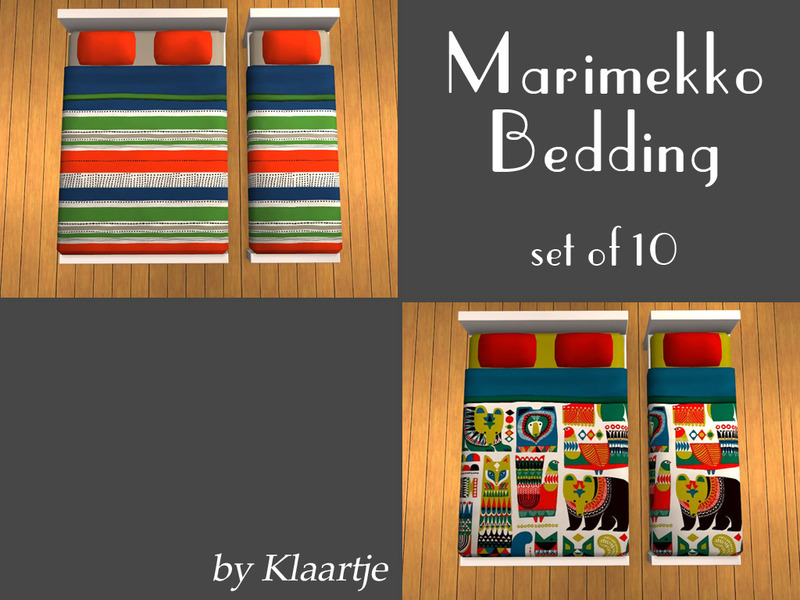 Inspired by Karen's IKEA Bedding, I decided to have a look at another famous Scandinavian store: Marimekko. I really, really love their fabrics and popping into their store when I'm near one. 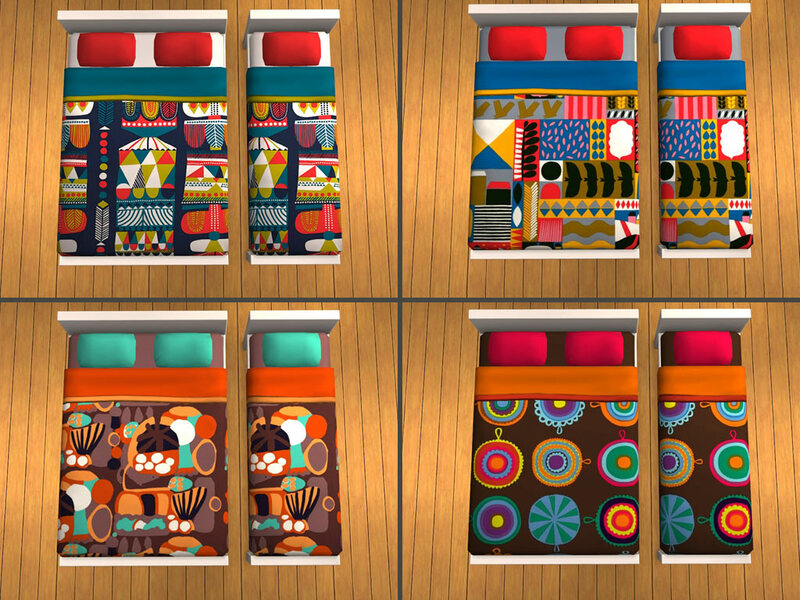 So I figured that my sims deserved some pretty bedding made from these fabrics! 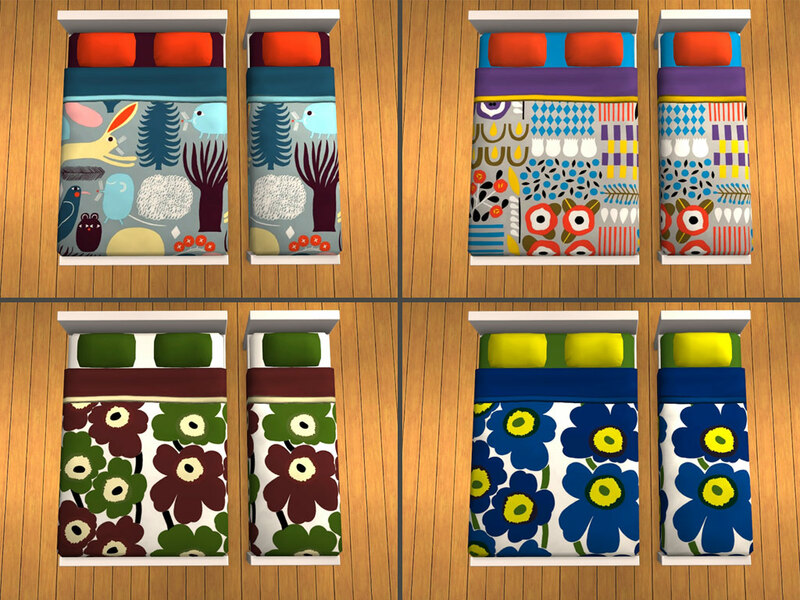 Marimekko for the awesome fabric design. I love Marimekko, thank you for these!